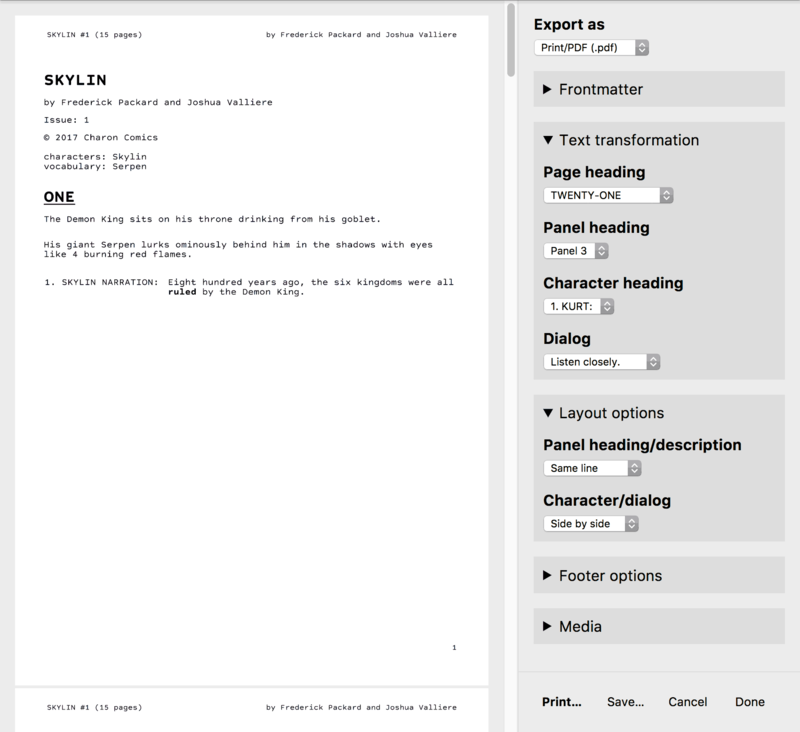 Superscript: the only text editor designed specially for writing comics. Don't bother with menus, toolbars or side panels. Superscript's plain text syntax will style your text as you type. All you have to do is write. Pages and panels are numbering automatically as you type. Especially useful when inserting a page into the middle of your script. Dialog/SFX is counted per speech bubble, per panel and per page, to ensure that your graphic novel is a graphic novel. See your typos and get spelling suggestions, based on your own defined character names and fictional words. One-click copying, global shortcuts and automatic text transformation make copying & pasting dialog a breeze. Insert images for your artist to reference and comments for your collaborators. Export to Word, PDF, Markdown, rich text and plain text. Print or share your masterpiece in a variety of common script formats, with numbered pages, panels and dialog.